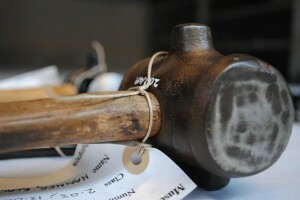 This post was written by Christina Avramakis, Project Assistant for our Sense of Place project. My role at MERL has been to accession and catalogue new objects coming into the Museum, and so I have been very lucky to get up close and personal with many interesting objects and stories. For this reason, it was difficult to choose just one object and in the end I have settled on two horse-related accessions (although the queen honeybee artificial inseminator was very tempting!). The objects I have chosen are a ‘check rein’ (object number 2012/387) and a set of blacksmithing tools (object numbers 2012/455/1-3 – 2012/459). I think that the check rein is particularly special as this style of driving horses on the farm was very rare, only employed in a small part of Yorkshire, near Hull. The check rein was used by Ron Creasey, who was one of the last horselads (as the men who worked with the horses on the farm were known), working with horses on the farm from 1946, at the age of 17, until 1960. 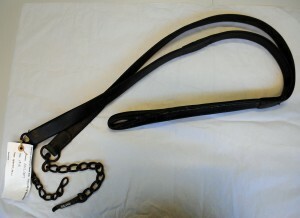 Common horse reins consist of two lines which the driver uses to direct the horses or stop them. A check rein only uses a single line and so the driver controls and directs the horse using the rein in combination with verbal commands. Depending on the pull on the check rein, the horse will turn right or left, but the horse will only stop at the verbal command of the driver. For this reason, the horselad had to be both highly skilled to handle the check rein to ensure that the horses moved in the right direction at the right time, and sufficiently commanding that the horse would respond to its orders. It was for this same reason that the use of the check rein did not spread further; because of the reliance on verbal commands to manage the horses, some farmers simply considered it too unsafe, for if there was an emergency and the driver could not use his voice, there was no other way to stop the horses. The blacksmithing tools, specifically a number of pincers and cat’s-head hammers, were used in Hampshire. They are just a small selection of blacksmith tools, but I like them for four reasons – their testament to innovation, sustainability, skill and endurance. The pincers appeal to me for their ridged texture; but they have these ridges because of the way that they are made. They are an excellent example of innovation and recycling – they are made from used, worn-out rasps which, as they were no longer fit for their original purpose, have been fashioned into something different and given new life. The cat’s-head hammers have a small prominent bulge on each side of the head which, it has been suggested, almost have the appearance of two ears, and so may be where the name comes from. 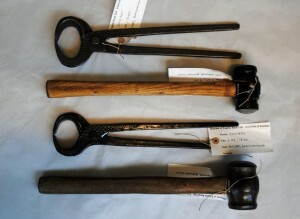 One of the small bulges is used to create clips on the horseshoe, although the use of these hammers is now uncommon. For me, the skill, dexterity and precision required to shape the metal by striking it with just this small bulge is highly impressive. Finally, what struck me as I learned more about these tools and their makers, beyond the specialised skills involved, were the unbreakable links between these people through a system of apprenticeships and mentoring that extended from the early 20th Century to the present day. Particularly at a time when there is a greater emphasis on an academic l education at school and university, it is both fascinating and reassuring to know that the traditional and unique skills and knowledge of the countryside have not yet been lost but have endured, with generations of blacksmiths passing on the tricks of the trade. 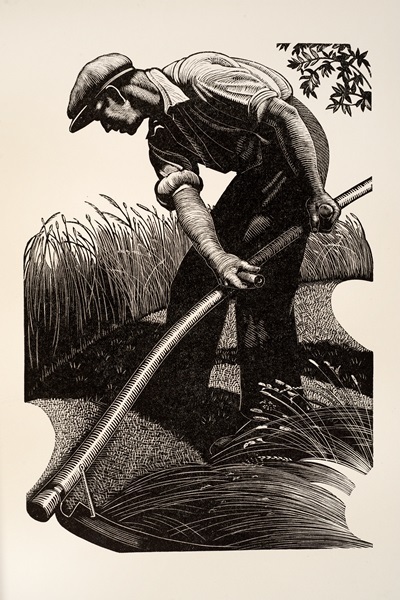 The wood engravings of Clare Leighton (1898-1989) were among the most exceptional examples of the art form produced during the revival of the art of wood engraving in the 1930s. She illustrated numerous books, several of which she had also written, and wrote a manual on her craft entitled Wood-Engraving and Woodcuts, published in 1932. Leighton was born in London and studied at the Brighton College of Art and later at the Slade. 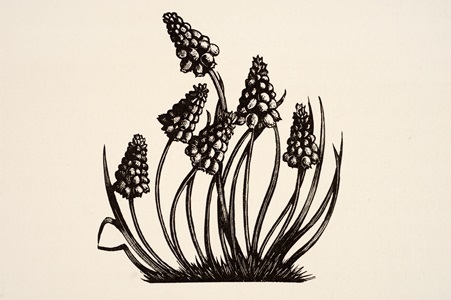 In 1922 she attended classes at the Central School of Art and Design where she discovered wood-engraving under the tuition of Noel Rooke (1881-1953) who was a major influence in reviving the practice of wood engraving in the twentieth century. His students also included Robert Gibbings and Eric Gill. Through Rooke’s classes, Leighton discovered a career in which ‘head, heart and hand might join’ in the words of her poet grandfather. Her engravings have a very powerful sculptural and monumental quality and are very recognisable. The natural world and rural people and their working lives were key themes in Leighton’s work. 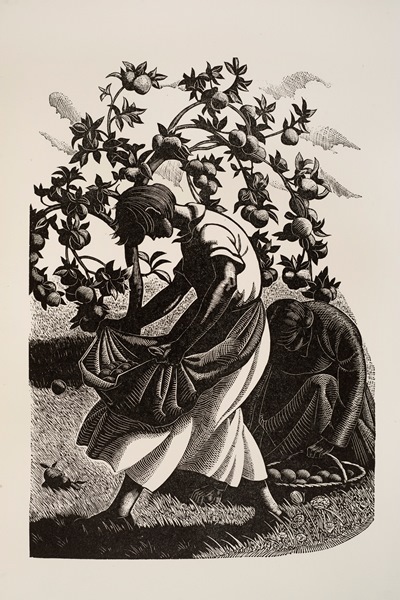 Along with her contemporary, Agnes Miller Parker, Leighton played a part in raising the popularity of wood-engraved book illustration on rural life and the natural world and improving aesthetic standards in popular book illustration. 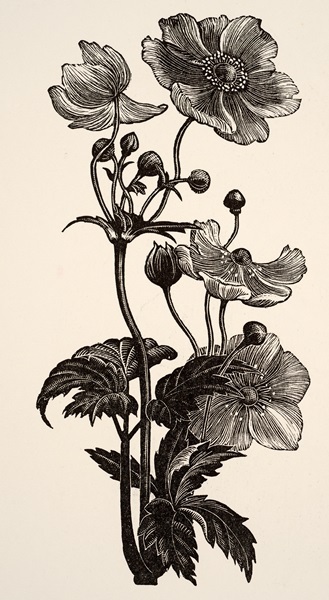 The book is divided into monthly sections, with striking and exquisitely rendered engravings of flowers, fruits, birds and animals, many drawn in her own garden in the Chilterns, to accompany her commentary. The text is a personal and anecdotal celebration of Leighton’s enjoyment of nature and of her garden which she had created from a Buckinghamshire meadow, with observations such as “I mow the lawn. How many people know the right way it should be done? Feet should be bare; grass should be slightly damp. The cold, moist clover strikes up from the mower upon my bare feet, and blades of cut grass and bits of slashed weeds stick between my toes”. One of my favourite engravings from Four Hedges is her illustration of two women gathering apples in the ‘September’ chapter [see image below]. As with many of Leighton’s illustrations, it has a beautiful composition and strength of form. As the writer Joanna Selborne observes, “[the] figures are monumental and rhythmic, as epitomised by the swinging body of the apple gatherer”. Other works and items relating to Clare Leighton held by the University of Reading Special Collections and the library of the Museum of English Rural Life include two copies of The farmer’s year, a copy of Leighton’s manual, Wood-engraving and woodcuts, and a proof-pull print entitled The quay held in the Miscellaneous Prints Collection. All of these items can be viewed at the Special Collections Service reading room on request. A further two publications Country Matters (1937), a collection of essays on country people and their occupations, written as “a record of an enduring world” and a catalogue for an exhibition of Clare Leighton’s work at the Ashmolean Museum in 1992 have been ordered to add to our holdings of material relating to this gifted artist. Clare Leighton. The farmer’s year : a calendar of English husbandry, written and engraved by Clare Leighton. Many thanks to David Leighton for his kind permission to reproduce some of the illustrations from Four Hedges. written by Claire Smith, Weekend Supervisor/Learning Assistant. To learn more about Claire, see her previous post. 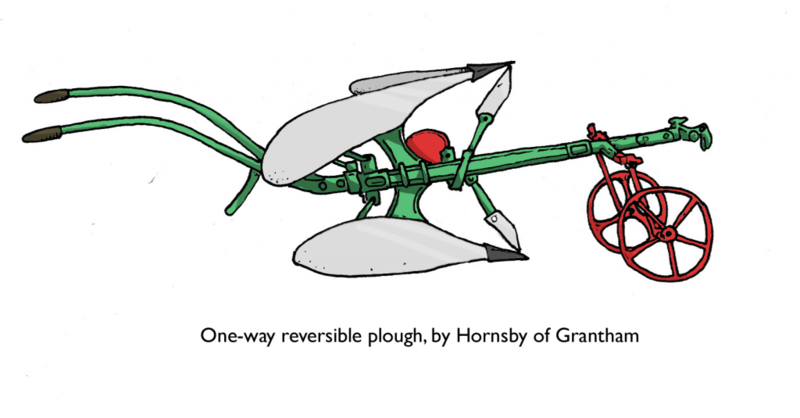 Before the invention of the lawnmower in 1830, grass would be cut with a scythe, or animals would be allowed to graze on the lawn to keep it short. From the 1850s, horse-drawn lawn mowers were introduced. In order to prevent the horse’s hooves from damaging the lawn as the mower was pulled, the horse was fitted with lawn shoes, or slippers. These could also be made to measure for donkeys and ponies. The horse’s feet were simply strapped into the leather overshoe. This spread the pressure of the foot more evenly and prevented the shape of the horseshoe from being imprinted over the lawn. 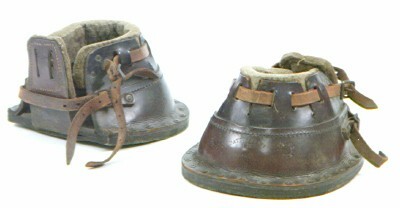 There are several pairs of lawn shoes in the MERL collection, mainly for horses, but also some smaller ones which were probably used for donkeys or ponies. The pair shown above are made from leather, and padded on the inside with wool. They would have been strapped around the horse’s hooves and fastened with the buckles. Horses are not the only animals to have shoes – when turkeys made their three month long walk to market, they would wear special leather boots to protect their feet. Pigs would wear knitted boots with leather soles. Geese wouldn’t allow themselves to be shod, so their feet would be dipped in tar and covered with sand. Sadly we don’t have any examples of pig or turkey shoes in the museum, but I think the horse slippers are lovely enough to make up for it! The first in our series of favourite objects chosen by MERL staff, volunteers and visitors, is written by Fiona Melhuish, MERL Librarian. In my work with the Special Collections rare books and MERL library I get lots of opportunities to spotlight my favourite items from our wonderful book collections through exhibitions and Featured Items on the Special Collections website, so for this post I am going to choose one of my favourite objects from the Museum’s collections – a Yattendon Guild copperware vase (MERL 2009/24). This vase was purchased by MERL in 2009 as part of the Collecting Rural Cultures project which aimed to acquire material to build a picture of the countryside in the twentieth century. It was made at the Yattendon Metalworking Class, or Yattendon Guild, an evening class for local men and boys, organised by Elizabeth Waterhouse (1834-1918), the wife of the architect Alfred Waterhouse, whose buildings include the Natural History Museum in London. Alfred designed several buildings in Reading including East Thorpe, a Grade II listed building, which is now the home of MERL and Special Collections. The Waterhouse family purchased the Yattendon estate in West Berkshire in 1878, and Alfred built Yattendon Court (now demolished) as their family home. 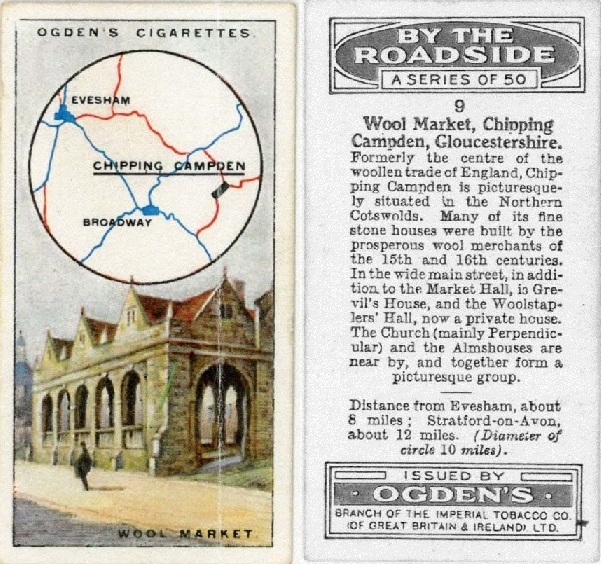 Between 1890 and 1914, the class met weekly at Yattendon Court and developed into a thriving village industry. 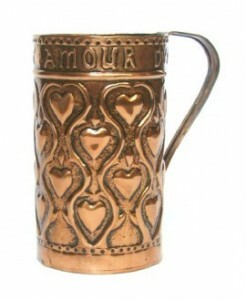 The class produced items in repoussé brass and copper mostly from Elizabeth’s own designs – she also taught her pupils how to beat the copper and brass. The metalworker Colin Pill (who has an interesting website devoted to Arts and Crafts metalwork) has pointed out that “the handle construction on [Yattendon] vases and tankards as well as the shallow nature of the repoussé and background punching or grounding are very distinctive”. Yattendon metalware does not appear to have been stamped with a maker’s mark but some pieces occasionally bear pen inscriptions. The class became affiliated to the Home Arts and Industries Association (HAIA) which was established in 1884 to increase skills in craftsmanship among the working classes and to promote the revival of rural craft industries. Similar metalwork classes were set up in Newlyn in Cornwall and in Keswick in the Lake District. The Yattendon Class established a reputation for good design, and produced items including plates, jugs and lanterns in an Arts and Crafts style. The decorative motifs were inspired by plants and flowers, whilst others featured peacocks, fish, deer and leopards. The class produced over 5,000 items and sold their wares in a local shop, whilst other items were sold at Liberty’s in London. In 1895 the art and design journal The Studio praised the Yattendon Guild’s “fine show of repoussé copper, excellent in its design and thoroughly characteristic of the metal”. 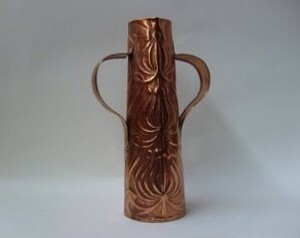 This vase was featured in an article in The Studio in 1899. The vase is one of several items with a Waterhouse connection held by MERL and Special Collections. The Museum also has a tankard made by the Guild (MERL 68/506) and Special Collections holds books written by Elizabeth, correspondence and watercolours by the Waterhouse family. Neither the tankard or the vase are currently on public display in the Museum at the moment but please contact us if you would like to visit to see them! Objects made in the Arts and Crafts style have always appealed to me, with their designs drawn from natural forms. However, what I think is particularly special about this object is the numerous links it has with different parts of our collections, from the building in which our collections are housed to local history and to the rural life and craft traditions which the Museum seeks to document and celebrate. The design of the vase has a simple beauty and a very satisfying symmetry, with the stylised plant/seed head motif gradually reducing in size as the vase tapers upwards – it would look wonderful in an Arts and Crafts-style fireplace filled with teazels!